University of South Florida INTO Pathway Program is a high-impact, global research university dedicated to a single purpose - student success. Our primary goal is to support students as they pursue the goals of attaining an education, finding meaningful employment and making a difference in the world. Become part of a dynamic learning community that inspires innovation, creativity and collaboration. Study with world-class scholars, experience outstanding facilities and make friends from all 50 US states and more than 140 countries. #1 in the nation for student success among 1,100 schools (Eduventures Student Success Ratings 2016). 1 of 81 Public Universities with Carnegie Foundation's Tier 1 Highest Research Activity (Carnegie Classification of Institutions of Higher Education). #8 among nation's public and private "Golden Age Universities" (Times Higher Education 2017). 76% of alumni earn $50,000 or more and 32% earn $100,000 or more per year . With bright, modern classrooms, an expansive learning resource center and specialized support areas, INTO University of South Florida gives you the best possible start as a university student. 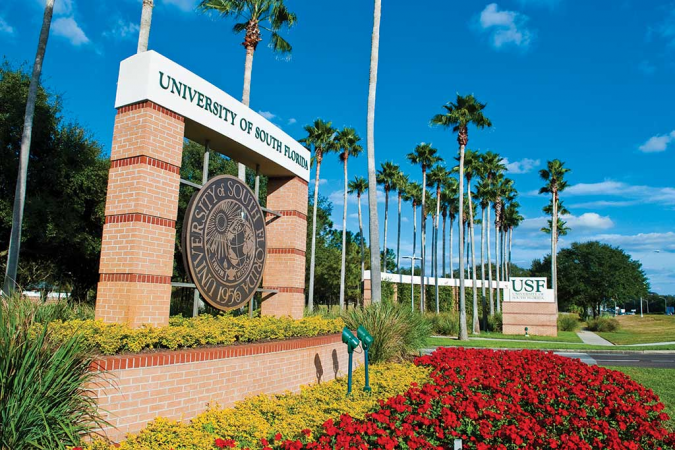 The convenient location, in the heart of campus, makes it easy to access all the benefits of being a USF student. Home to 14 academic colleges, USF offers more than 240 undergraduate and graduate degree programs, first-rate facilities, 2,400 engaging faculty staff members and Division I athletics. USF's mission is to help you succeed in your studies and as a global community citizen through a competitive curriculum and access to real-world research. We are also a top producer of Fulbright US Scholarship recipients and ranked No. 15 worldwide for the number of research patents granted. 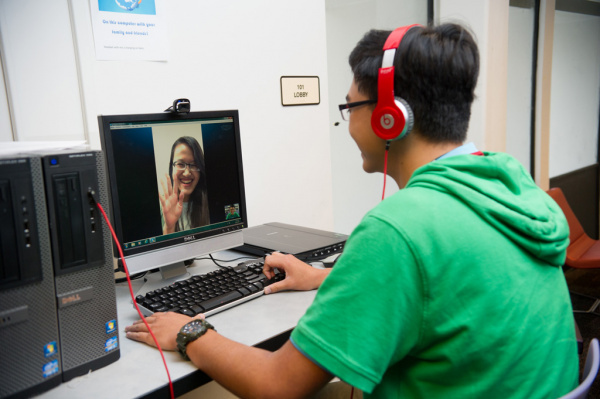 The Academic English Program at INTO USF will prepare you for university study at both the International Year One and graduate pathway programs. AE concentrates on developing reading, writing, listening and speaking skills and focuses on grammar. The unique curriculum is created for you to work in small groups with other students to complete academic projects. An INTO USF Graduate Pathway program will prepare you to enter your next semester of a master’s degree program at University of South Florida. After successfully completing the Pathway program, you are guaranteed to enter your next semester of study. This transition to university from an INTO program is called progression. 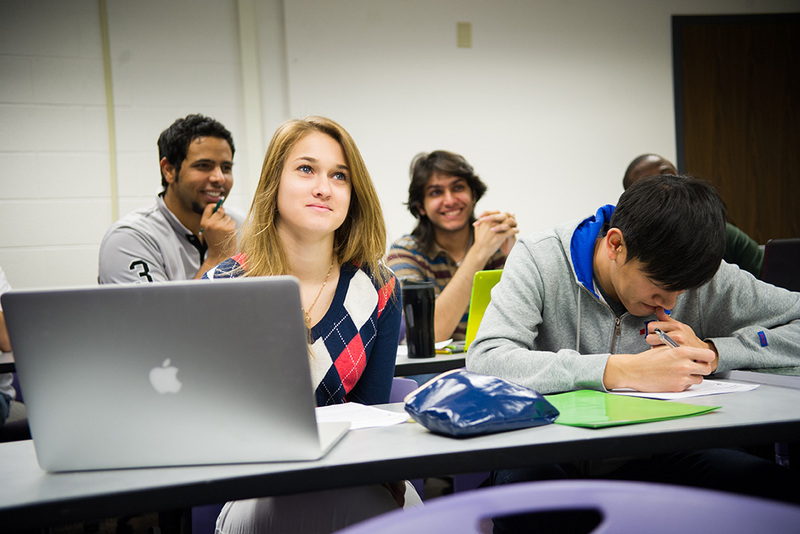 International Year One will prepare you to enter the second year of the 2+4 competitive degree program at USF. After successfully completing the Pathway program, you are guaranteed to enter your next semester of study. This transition to university from an INTO program is called progression. All our housing options offer maximum comfort and safety. Move-in ready rooms include everything from furniture and new bedding to air conditioning, cable television and internet service. Residence halls feature common areas for studying and socializing, kitchens on every floor, laundry facilities and a variety of other amenities. Trained Resident Assistants live on-site to help with any of your needs. On-call emergency maintenance is available 24 hours a day.